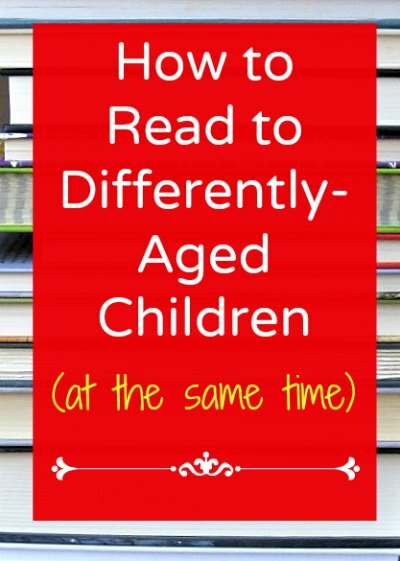 How to Read Aloud to Differently Aged Children for Fantastic Family Time! 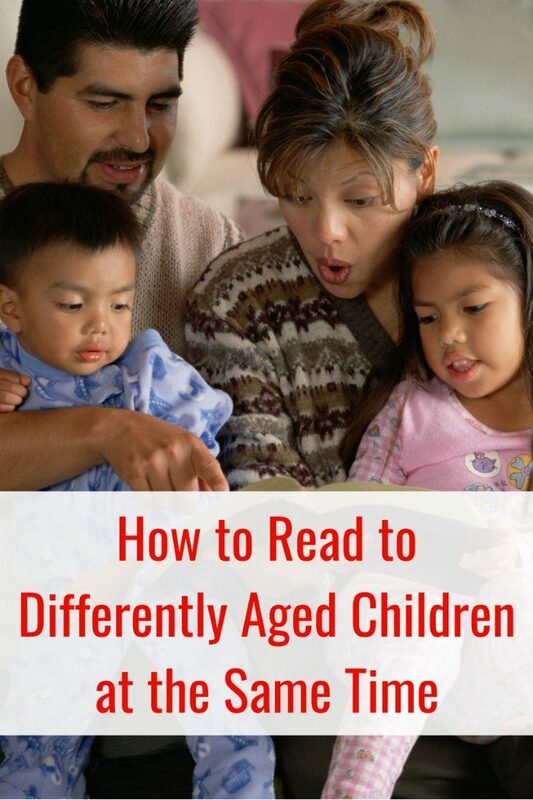 You are here: Home / Literacy / How to Read to Differently Aged Children for Great Family Read Aloud Time! My boys are four years apart and they are on very different reading levels, not to mention their ability to sit still! My more than 200 book lists for kids I have read A LOT of books. And the majority of them I have read aloud. With my tips for reading aloud to all the kids at once, you soon will be having the best family read aloud time ever. If your youngest child is a baby, it’s easy to sit the baby on your lap, give him something to chew on, or as I used to do, nurse him, while you read to your oldest child. But as that baby becomes a toddler, things get a wee more difficult (to put it mildly). My youngest is very demanding of attention, it is impossible to sit down and read with my older child unless there is another parent in the apartment to keep him busy. Plus, my eldest is not appreciative of having his reading time interrupted by his brother’s demands for me to read the same page over and over again (one of his brother’s most delightful qualities). If I limited my read aloud time with big brother to his brother’s nap time or bedtime our time would be very limited indeed. Now hear me out. You may not like this idea if you have family dinners every night. However, my husband always gets home on weekdays after dinner, so it is just me and the boys at the table five nights a week. But if your children are home with you during the day, how about lunchtime? I let the boys take turns choosing their favorite picture books and I read to them while they eat. The younger child doesn’t mind that his sibling’s books are over his head, he is just enjoying the company and his dinner. If he gets bored, he just throws his food around. I can handle that. When do I eat? Hmmm, maybe I should market this as a diet strategy. I always, always invite my older son to join us on the couch when I am reading to the little guy. He doesn’t always want to but more often than not he comes over. I am sure to sit them on either side of me or there is a lot of shoving, pushing and complaining. But he joins us because… kids love picture books, even books that are supposedly “too young for them.” Don’t underestimate the power of an excellent picture book! Last night, I was reading Donald Crews’ brilliant School Bus, a book with simple graphics and an even simpler text and big brother liked it just as much as his younger brother. Side note: Are your children ready for chapter books? These seasonal family read aloud lists will keep everyone happy all year long! In our case it is transportation: trucks, trains, cars, boats. You get the idea. Although Gail Gibbons’ Trains is slightly advanced for the younger’s comprehension and the elder can take on more advanced books, they both still love it. The same is true for the marvelous Subway, and many similar books. This strategy may result in fights over who gets the book once you are done reading, so be prepared. Take a peek at a few of the boys’ favorite construction picture books. Let’s be honest, not everything works all the time. Kids are fickle, one day they love peanut butter, the next day it is the grossest thing in the world. 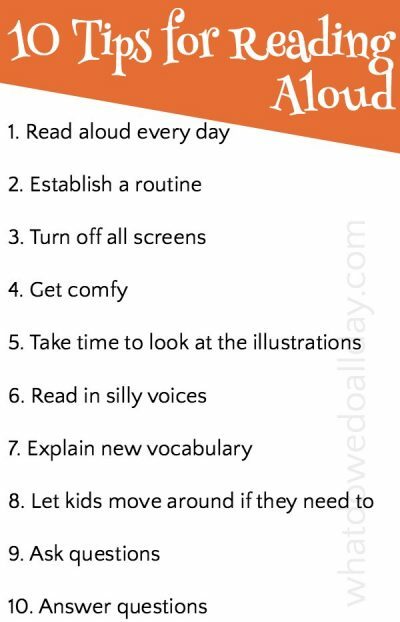 These reading strategies don’t work every single time, but they help. In the end, ensuring your kids see that you value family reading by making an effort to read to them to together will always pay off. Thanks for this post, I like your ideas. Ever since Little Man became mobile he will not listen to us read books. We still try reading to him every day but we end up reading to the air while he runs around. We'll keep trying, though! I usually read to PBug for at least an hour during Little Man's naptime because a: it's one of the few times I'm not chasing Little Man off the counters and tabletops, and b: it keeps her quiet so she doesn't wake him up from his nap (and I am usually desperate for him to take a nap). I'm going to try the lunchtime idea! I really like the idea of letting the older child choose a book. My 10 month old doesn't really care what we are reading yet- so I'm going to try and let the 2 year old pick out books for the baby. Luckily, my boys do have different nap schedules (that somewhat overlap) so I try to read to them separately. The baby is just getting to the age where it's difficult because he wants to turn pages and I want him to develop book handling skills but his big brother must NOT want him to develop book handling skills. 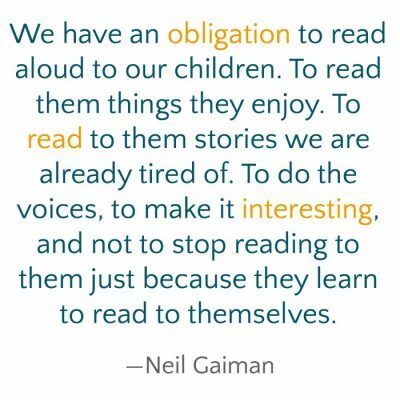 I have a 6-year-old and a 4-year-old and often struggle at reading time, too. Sometimes my husband and I both take part, so that each of us can read with one child. But I like your strategies for helping with reading time together. I am lucky that I have two girls (like you seem to have two boys) so that for the most part they are interested in the same things! Great post! My good friend has a 5-year-old and an 18-month-old, so I will definitely share this with her. Thanks, Katie! I hope it helps her. I have a 20 month old and 5.5 year old and I usually try to talk my husband into putting little bro down so I can read to big bro. That doesn’t always work though – little bro is a huge momma’s boy right now. I find that if I put out a bunch of books, that is often enough to distract little bro (he loves books). Or I can read and they’ll both listen sometimes (with little bro in my lap). Sometimes little bro will want me to read to him when big bro is doing something else and that works too since I’m sure there is only so much Good Night Moon or Five Little Monkeys big bro can take. And then sometimes, story time just isn’t going to happen.